The March 6th TRUFA faculty social—rescheduled from December and titled “Spring Fling”—was a great success. Over 100 faculty attended and were treated to yet another example of the wonderful work achieved by our Culinary Arts instructors and their students. Thanks to Doc and the Disorderlies for their entertainment and a special thank you to Marian Griffin for her planning and coordination. 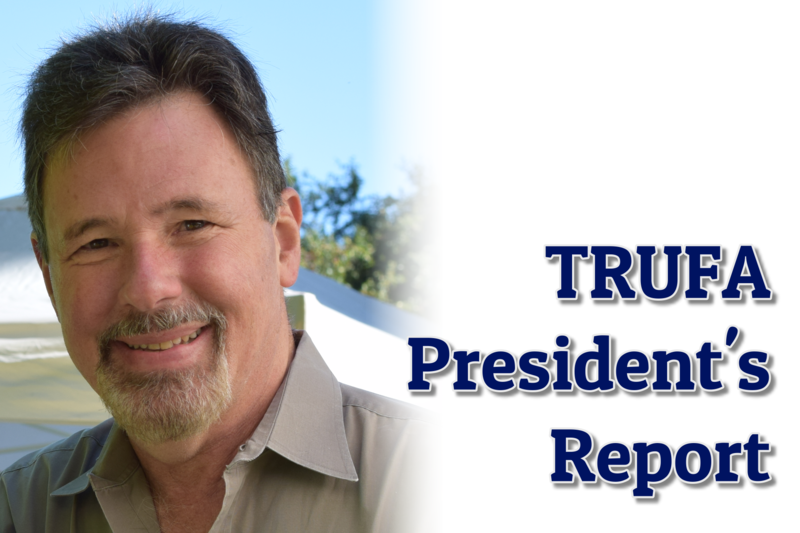 The work of this committee has concluded for this year with all recommendations for tenure and/or promotion going forward to the TRU President and the Board of Governors. I want to thank the dedicated faculty and administrators who demonstrated their commitment to studying application portfolios and external reviewer reports and exercising their professional judgment in all cases. I have served as the TRUFA observer on this committee since it’s founding in 2007, and I applaud the work of colleagues on upholding all disciplines’ academic standards. Additionally, we should all be grateful for the work done by Faculty/School/Division Tenure and Promotion Committees during the Fall. And I continue to be impressed by the dedication shown by TRUFA Vice President Star Mahara, whose interventions as TRUFA observer on these many F/S/D committees kept members and chairs on track. Despite the relatively small turnout at the March 7th meeting, I felt that the meeting was a valuable opportunity to share TRUFA’s substantive bargaining proposals. 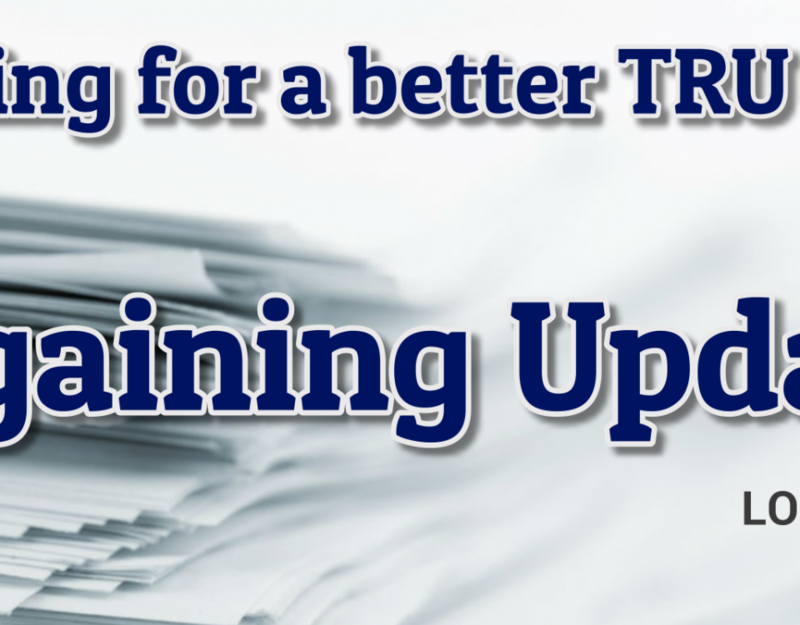 If you missed the meeting, the TRUFA package is available in the members’ only Bargaining section of TRUFA.ca. See TRUFA Chief Negotiator Lloyd Bennett’s report on bargaining in this newsletter (here). All faculty should know that we have a bargaining team representing a broad cross-section of TRU disciplines and employment categories, a team that is working hard on behalf of all faculty members. On Tuesday, April 16th FPSE-appointed trustee Doug Birtwistle (Okanagan College Math instructor) will be presenting two sessions, both of which focus on the College Pension Plan and its importance for faculty members. The first will be of particular interest to those in the early or middle stages of their careers; the second, to those anticipating retirement in the next decade. Time and room details will be communicated closer to the date. I attended the March 21st-22nd meetings of FPSE’s Presidents’ Council in Vancouver. Along with the presidents representing the 17 other FPSE local associations, I approved resolutions that will be debated at the FPSE Annual General Meeting to be held on May 13th to 16th in Kelowna. Among the important resolutions, is the proposal to lobby the provincial government to initiate a post-secondary education funding formula review. Such a review would have as its goal the aligning of funding to the legislative mandates of colleges and universities. 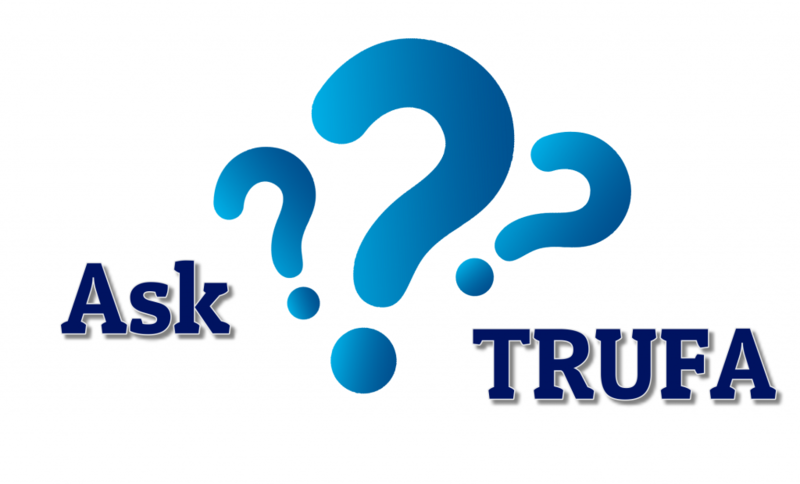 In TRU’s case, TRUFA believes that funding should recognize that our institution has mandates to conduct research in support of delivering both undergraduate and graduate programs and a legislative mandate to serve the educational needs of the entire region. 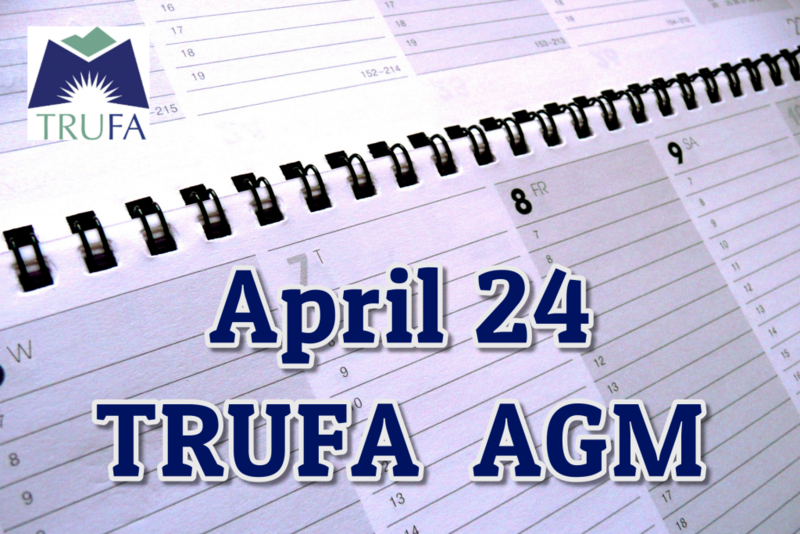 The TRUFA AGM will be held on Wednesday April 24th. All positions on the TRUFA Executive are up for election and I urge those interested in serving your Association to consider putting your names forward. Last week, the call went out for the representatives of TRU’s 9 Faculties or Schools. If there is more than one nominee, an on-line election will be held during the week before the AGM with those from each Faculty or School able to vote for their constituency’s representative. The VP Williams Lake and Regions and the two Contract Faculty positions are chosen by the faculty in those constituencies. 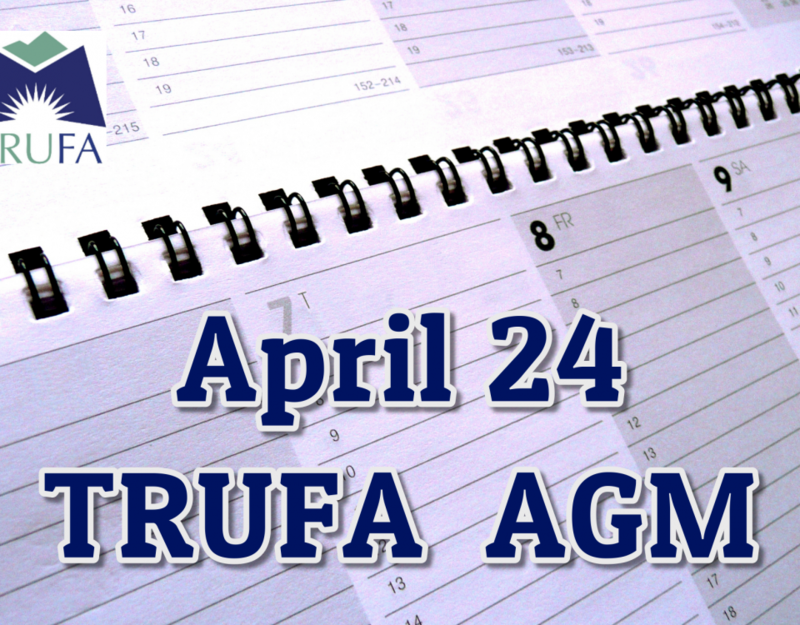 Representatives for all other Executive positions and for membership on TRUFA standing committees will be elected at the AGM itself.